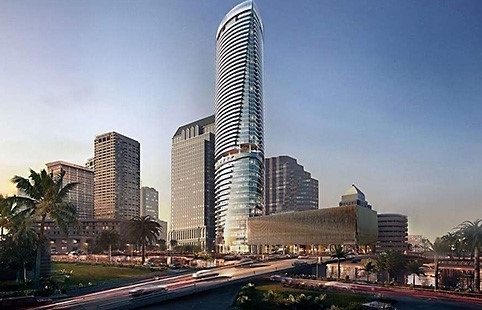 Development & Real Estate — PACSCON GeoEnvironmental, Inc.
Riverwalk Tower is a 53-story mixed use office and residential tower located at 111 S. Ashley Drive in downtown Tampa on a site with an area of about one and half acres. PACSCON personnel serve as the geotechnical Engineer of the Record for the project. The project is currently in design stage. When complete, the tower will be the tallest building on the west coast of Florida and one of the tallest buildings in the Southeast US. PACSCON is currently leading all environmental assessment and remediation activities at this golf and country club ultimately leading to the approximately 175-acre property’s redevelopment as a gated community of ±380 single-family residences. In addition to clubhouse and maintenance facilities, the championship golf course consists of 18 holes and measures approximately 6,800 yards from the professional tees. Preliminary assessment activities have recently been completed at the site to establish a current baseline and determine the viability of using the incremental sampling methodology (ISM) as the preferred method for completing the environmental assessment of the golf course. The viability of the ISM approach has been confirmed, and PACSCON is currently in the process of completing a field sampling and quality assurance plan to guide the comprehensive assessment activities to commence prior to the end of 2017. The goal is to ultimately achieve the necessary approvals from the FDEP resulting in a No Further Action (NFA) status for the property. 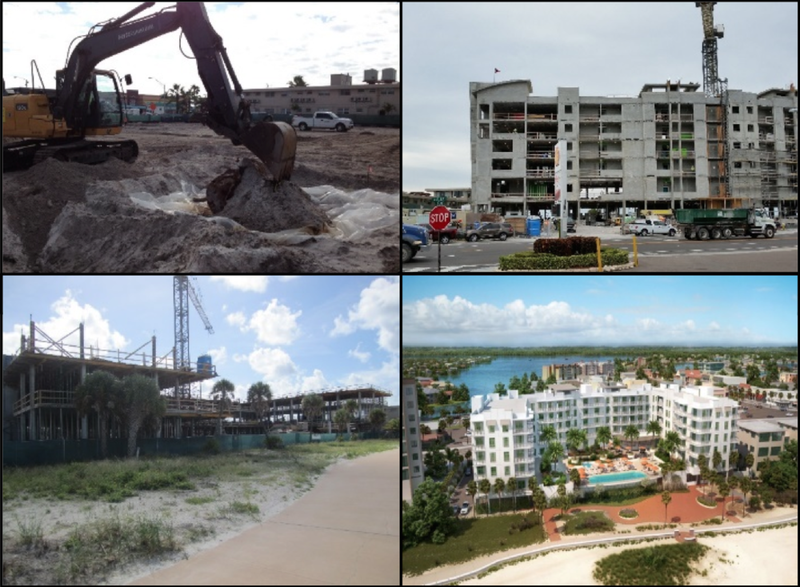 The regulatory strategy contemplated for this site at the current time will be to seek an alternative closure in accordance with Chapter 62-780, Florida Administrative Code (FAC) using engineering and institutional controls to maintain the aggressive timeline established for this significant redevelopment project by the client. 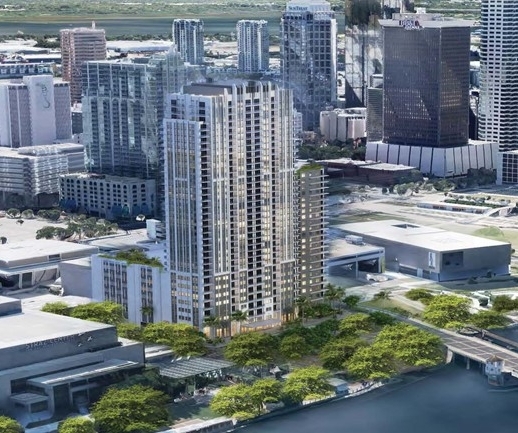 Art and Entertainment Residential (AER) Tower will be a 35-story residential tower located at the intersection of West Cass Street and West Tyler Street near the Straz Center in downtown Tampa on a site with an area of about one acre. PACSCON personnel provided geotechnical engineering services for the project, which is currently in design stage. PACSCON personnel served as project manager and project principal leading a multidisciplinary team during the assessment, remediation and ultimate redevelopment of this property. This property was formerly used as a shipyard located on the St. Johns River in the Southbank area of Jacksonville, FL. 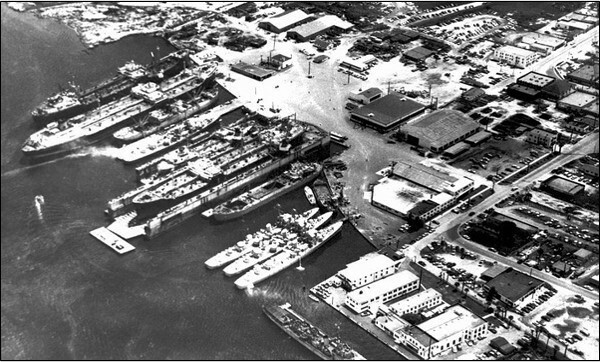 Based on research performed, the site historically operated as a shipyard from prior to 1918 through approximately 1974, and is located in a Brownfields area designated by the City of Jacksonville as the Southside Community Redevelopment Area (SSCRA). The site will be repositioned from an underutilized parking lot to a high-end, market-rate apartment complex in a generally underserved and desirable area on the Southbank. Activities completed at the site accelerated from initial due diligence and completion of comprehensive site assessment activities pursuant to Chapter 62-780, Florida Administrative Code (FAC), to the negotiation and execution of a Brownfield Site Rehabilitation Agreement (BSRA) with the Florida Department of Environmental Protection (FDEP), through the development of a comprehensive remedial action plan (RAP) leveraging the proposed development plan to the greatest extent possible, to putting the first shovel in the ground at the site in less than a year! Ultimately, the regulatory strategy for this site is to seek an alternative closure using engineering and institutional controls to maintain the aggressive timeline established for this significant redevelopment project by the client, a timeline which would not have been accomplishable without the complete commitment, collaboration, and partnership of the FDEP and various other stakeholders. Nine 15 Franklin Tower is a 23-story apartment tower located at 915 Franklin Street in downtown Tampa on a site with an area of about one acre. The tower is supported on 84 caissons with diameters ranging from 3 to 6 feet. PACSCON personnel served as the geotechnical Engineer of the Record for the project. Construction was completed in 2017. 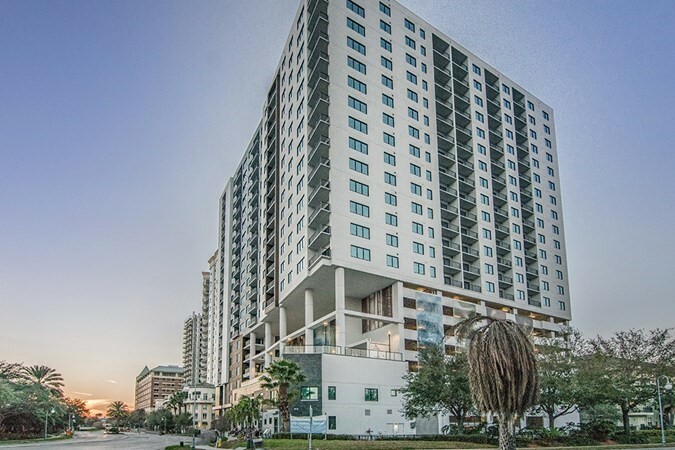 Harbour Island Residential Tower is a 21-story, 235-unit apartment tower located at 500 Knights Avenue in the Channelside District of Downtown Tampa on a site with an area of about one acre. With 360-degree views of downtown Tampa and Tampa Bay, the tower is one of the city's most sought-after residential addresses. The tower is supported on 546, 18-inch diameter auger-cast piles. PACSCON personnel served as the geotechnical Engineer of the Record for the project and also provided foundation inspection, construction materials testing, and threshold inspection services. Construction was completed in 2016. PACSCON personnel served as project manager and project principal for the comprehensive baseline assessment of approximately 300 acres of rural farmland, grove land, and timber land that was to be redeveloped as three 1 million plus square- foot distribution centers. The baseline assessments identified numerous environmental concerns including aboveground and underground storage tanks and equipment servicing areas that needed to be further assessed and remediation. Numerous production wells formerly used for agricultural and grove operations were also identified and closed out in accordance with applicable regulatory requirements. As an additional task, hundreds of feet of asbestos containing transit pipe was discovered at the site, which required abatement and proper handling and disposal. All assessment and remediation activities were completed following Walmart’s rigorous environmental standards and guidelines. Rocky Point Autograph Collection Hotel is a 11-story hotel located at 2500 Rocky Point Drive in Tampa, Florida. PACSCON personnel served as geotechnical Engineer of Record for the proejct and performed a supplemental geotechnical investigation activities to identify a more economical foundation system. Prologis completed the purchase of four parcels of land in south Florida containing construction and demolition debris (C&D) presumably resulting from the destruction of structures during Hurricane Andrew in 1992. The site is bounded on the east side by the Florida Turnpike and is located directly adjacent to the Dolphin Mall across the turnpike. PACSCON personnel served as project principal and senior technical advisor for this complex assessment and reclamation project. The deposited C&D material varies from 8- to 12 feet in thickness and sits atop the underlying limestone bedrock. The Client’s ultimate objective in acquiring these parcels is to proactively place the sites back into productive use by excavating the C&D material, recovering and redepositing usable fill, sending suitable metals off-site for reclamation, and disposing of unusable material in an appropriate disposal facility. assessment and natural resources support services at this industrial distribution center site located in Orlando, Orange County, Florida. Services for this project in part included site visits to conduct state and federal wetland jurisdictional delineation and agency verifications, and protected species assessments. The project was completed within extremely tight timelines to facilitate construction, which had already commenced at the site. Element is a 34-story condominium tower located at 808 N. Franklin Street in Downtown Tampa on a site with an area of about one acre. The tower is supported on 184 caissons with diameters ranging from 3 to 5 feet. PACSCON personnel served as the geotechnical Engineer of the Record for the project and also provided foundation inspection services. Construction was completed in 2008. PACSCON personnel were responsible for the implementation, coordination and supervision of an environmental due diligence program to support a major retail facility "build-out" effort throughout Florida, New England, New York and New Jersey. The scope of services under this program ranged from the completion of baseline Phase I environmental site assessments to the development of site-specific corrective action strategies focused towards contemplated reuse. Design-level geotechnical investigation and engineering services were also completed. SkyPoint is a 33-story condominium tower located at 777 Ashley Drive in Downtown Tampa on a site with an area of about one acre. The tower is supported on 709, 18-inch diameter auger-cast piles. PACSCON personnel served as the geotechnical Engineer of the Record for the project and also provided foundation inspection, construction materials testing, and threshold inspection services. Construction was completed in 2007. The Treasure Island Beach Resort, situated directly on the beachfront, consists of approximately 1.56 acres of land historically occupied by several motels. 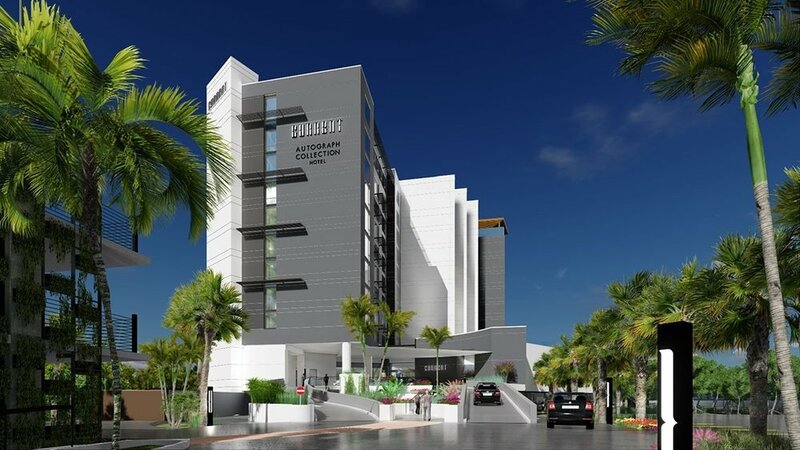 PACSCON’s personnel were engaged at the property as it was in the process of being redeveloped as a high-end resort destination. During initial site preparation work for the resort development, a previously unknown and unregistered underground storage tank (UST) was encountered. PACSCON personnel served as the project manager during the performance of the tank closure assessment, supplemental site assessment activities to evaluate the extent of impact to soil and groundwater, and resultant limited remediation activities. The assessment and remediation activities at the site were completed to residential standards in the northern portion of the site under the oversight of the Florida Department of Health in Pinellas County. This work was completed in parallel with the continued development of the site, and was completed at various stages of the building construction. Given the aggressive construction schedule, a conditional site closure strategy was recommended to avoid further active remedial activities. Using the planned development to facilitate the ultimate remedy, it was recommended that the paved parking area be used as an engineering control to limit exposure to residual impacted media being left in place and the recording of a deed restriction to run with the land. The alternative closure approach implemented at the site ultimately met the client’s goals and timeline for this redevelopment project. 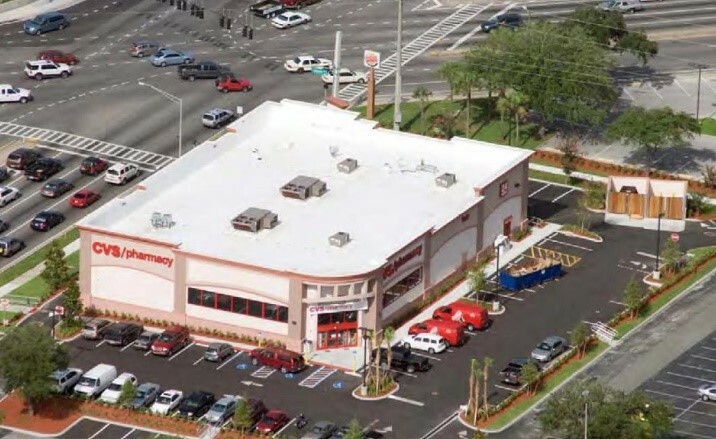 AXIUM, an independent specialty pharmacy provider owned by Kroger, purchased this ±154,000 square-foot building located in Lake Mary, Seminole County, Florida for a reported $18.3 million. The single-story building is located in the Lake Emma Corporate Center and will serve as AXIUM’s new corporate headquarters upon buildout, which is anticipated to be completed in early 2017. In addition to executive office space, the buildout will include a customer call center; specialty work and laboratory areas; training, conference, and break room space; and warehouse, fulfillment, and shipping areas including refrigerated storage. PACSCON personnel served a Project Principal in support of Kroger’s due diligence efforts prior to the purchase of this building, and completed a variety of services including a comprehensive pre-renovation asbestos survey and a property condition assessment in general accordance with ASTM Standard Practice E2018-01. Governmental agency and local community support of this significant project has been tremendous, and it has received a lucrative $1.12 million tax incentive package. Nike required a distribution center as a combined footwear warehouse and distribution center to consolidate operations from the Winchester Road facility in Memphis. This 1.1 million square foot facility is located on property jointly owned by Nike and Belz Enterprises. The construction of the facility required the relocation of 2,800 linear feet of stream entailing the development and acquisition of an individual Section 404 Permit from the Corps and individual ARAP from TDEC. Practicable Alternatives Analysis and Compensatory Mitigation Plans were a pivotal section of the application. By working closely with the engineers in the design of the relocated channel and regulatory personnel, this project was permitted within an extremely stringent timeframe. The development and implementation of the stream relocation and subsequent mitigation monitoring have ensured permit compliance.